You just made $10 on Craigslist from selling that old vintage globe you’ve stored in the basement for year, all your online shopping earned you $43 cash back from Ebates.com last quarter (and the check just came in the mail) and your grandmother just sent you $50 for your birthday. Woah–how quickly we don’t realize all of the “extra” income we make in a month. Keeping track of your income is just as important as keeping track of your expenses. 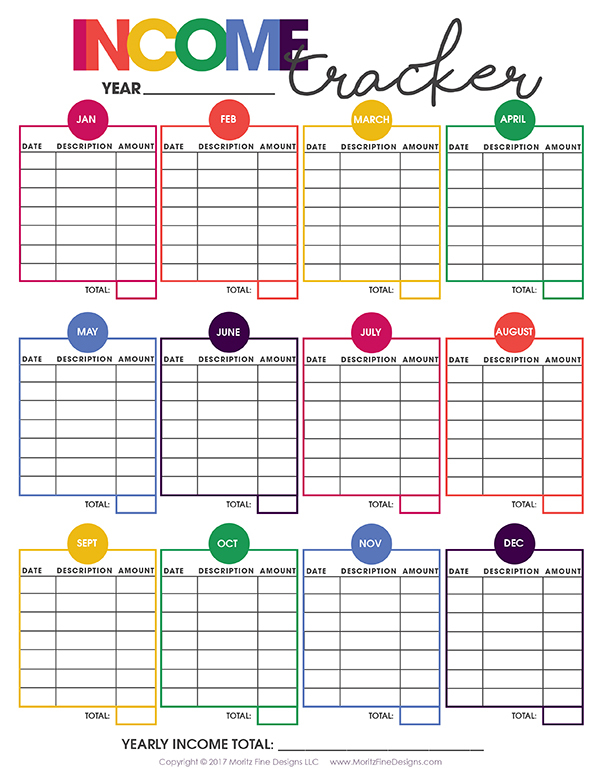 Using the free printable income tracker along with the free printable expense tracker will help keep your budget in order. selling items on Facebook, eBay, Craigslist, etc. Keeping the alternative income sources in mind, be sure to track each and every one. Do you need a few tracking suggestions? You could keep the income tracker handy and write the income as it “crosses your desk.” Another option is to create a separate income file to place all of your banking and investment statements, online statements, paycheck stubs and more. 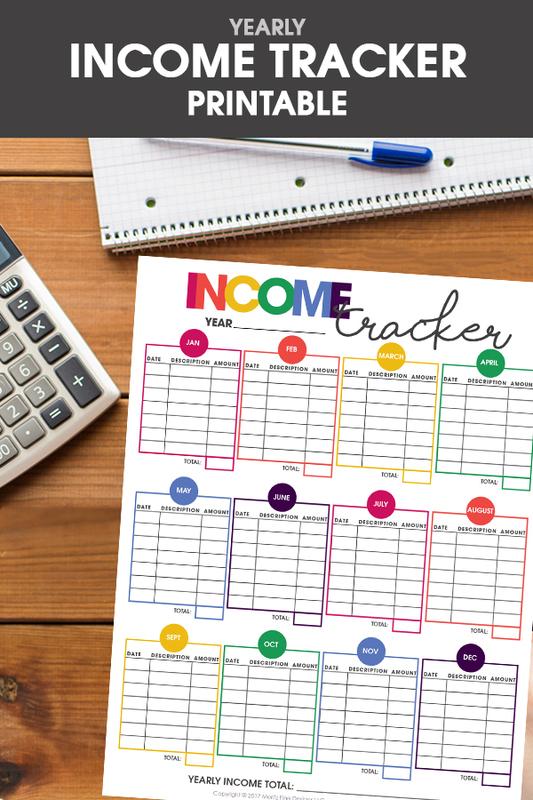 Then, monthly, go through this file and write all income down on the income tracker. Really disappointed. I submitted my name/email 6 times today and have not received an email to download this. Shannon check your junk mail… it was in there.